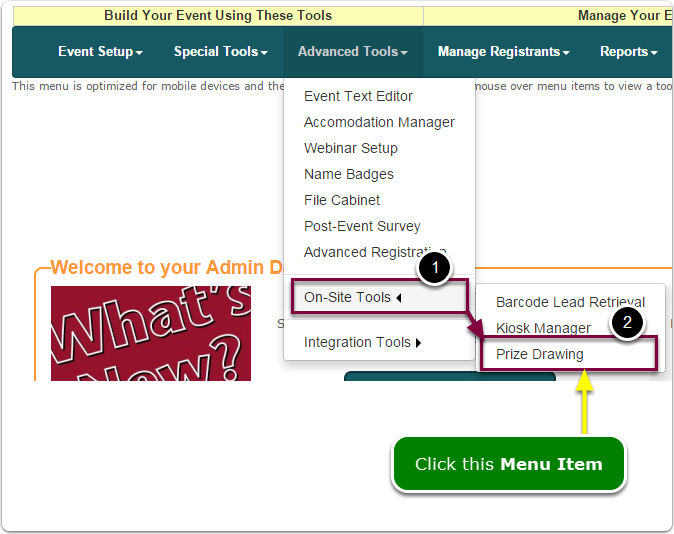 Help Documents - Version 5 Event Revenue StreamsWhere is the Prize Drawing Tool? rsvpBOOK has 2 versions of the Admin Dashboard. Â Which one do you have? Prev: How do I set up the Prize Drawing tool? Next: Where is the Custom Rows Wizard?